During the last week of school I love to round off our year by replaying my class’ favourite Maths and English games from the year. I rotate our games through the year as ability, preference and focus changes but its always fun to go back and bring out some of the ‘classics’. The kids love it too, plus its a good demonstration of how far they’ve come. This got me thinking that I should write about some of my favourites that both offer a great way to practice concepts and skills AND keep my students engaged and happy throughout. Part of the reason I’ve not written this post before is that, to be quite honest, it’s a bit of a daunting task! I mean, there are so many great activities out there and they cover such different topics and skills that I had no idea how to write about them all. After a fair bit of head-scratching (and don’t worry, it’s not another lice outbreak! … sorry Primary School humour) I’ve decided that the best way forward will be to create a mini-series of posts all connected to the theme of great classroom games, but each with a particular focus. Rather than create a separate post for every sub-section of the curriculum I’m going to group the posts by the materials used – this way I can also discuss how I incorporate them into my lessons. 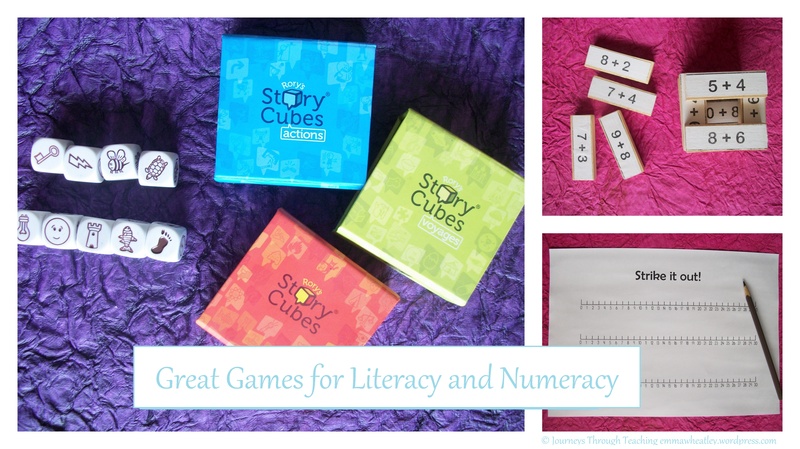 In each post I’ll aim to discuss 3-5 games for both Literacy and Numeracy, although I can’t guarantee I won’t sneak a science or humanities games in there too! Part Three: No materials needed! Consistency and Choice: The Core of Good Teaching?